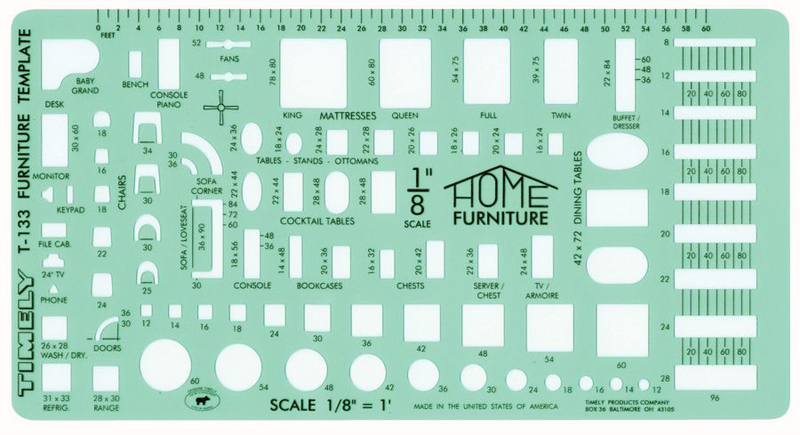 Furniture Drafting Template 1/8 scale Contains dining room, living room, kitchen, office area, and bedroom furnishings. Scale: 1/8" = 1â€™. Size: 5" x 9-5/8".